This week, we tried croissants for the first time. 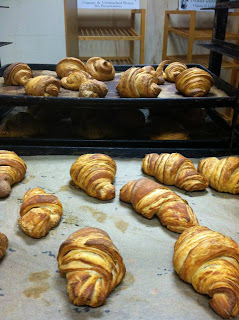 Croissants are scary because there is a lot that could go wrong (typically in the laminating stage), but I think we pulled them off pretty well. 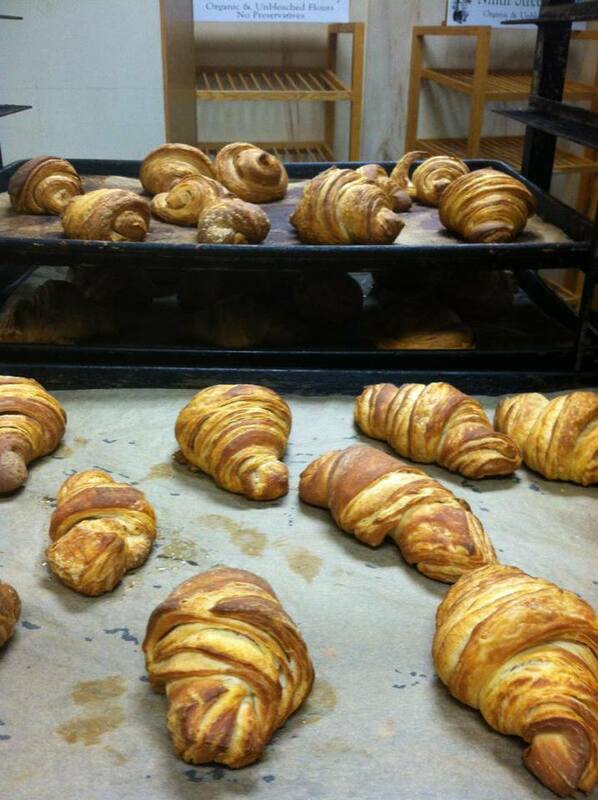 The natural leaven used gave the croissants a deep richness and the crumb was buttery and flaky. If I did them again, I would increase the hydration slightly so they would be a little lighter and airy-er. Our favorite customers: Jenny, Margaret, Kevin & family, Jonah&Ian&Pepita&Sebastian, EC&SMG, Beth&Edith, the Halperns, the Stocks, Dave&Nancy, Horst. Leah, and Margot. Da Crew: Many thanks to our hardworking crew: SZ, Val, Andy, and Chef Matt. Day One: This week DJ Adam Rogers blessed us with some jams. Here he is cuing up the Trammps "Rubber Band" after Miles Davis' "In a Silent Way". Listening to vintage records again was so amazing - the depth of sound and texture is just so much better than MP3s. This week: Chinese food night at Day One Durham! I'm especially psyched about the General Tso's "Chicken".